Wisdom of Life. 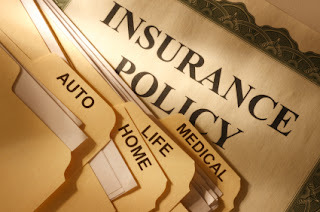 : Life Insurance needs to be reviewed regularly. A friend called to seek my help on insurance matter. His sister is diagnosed with breast cancer. She has an insurance plan with our company taken 18 years ago through her own brother, who was working as a part-time agent for a short span of time. With total trust and faith, she purchased the plan without doubt because the agent who recommended her the covers was the brother. However during the last 18 years, there was no review or up dating or advices rendered to her. She assumed the policy with all the relevant benefits could continue until life or as long as she pays her yearly premium. So sad! On checking with her program lately, she realised that the major medical cover has an expiry term till her age 60. She is now 61 years old and the medical benefit no longer applied. No one did explain to her. And today she really needs the money to pay all her heavy medical expenses. Not forgetting she is still a single lady, unmarried and earns very little. While she was on chemo treatment last week, I personally paid her a visit at the hospital. The minute she saw me, she was already crying. Holding my both hand with tears dropping over her eyelid, I could hear her soft voice, "Please Mr Foo. Please help me!!!" I returned with a broad smile and said, "As long as I live, selling insurance is always in my blood. I'm sure my caring company will listen. I will do my level best my dear". I was given all the necessary medical reports and letters from her attending doctor. Upon reaching home, I spent two hours writing a supporting letter to my company, appealing and explaining what I had witnessed. Now is the time, I want to see whether truly my company or the people who work inside, really have a heart for our clients. Conclusion: Buy life insurance from full time committed professional agents. Buy what you need and not buy because of obligation to others. Always review and upgrade your program regularly.